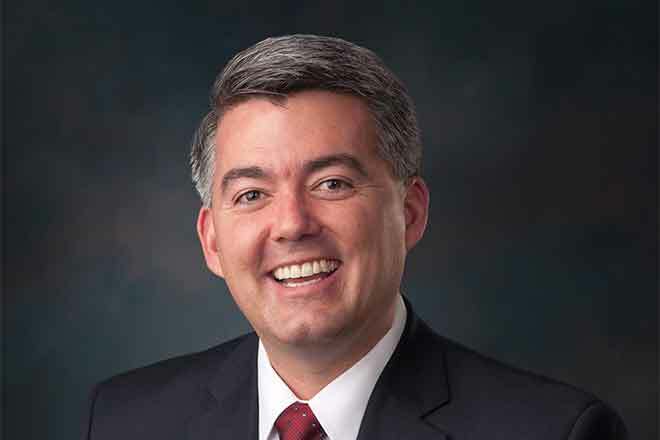 Following the recent wildfires that devastated farms in Northeast Colorado, Senator Cory Gardner (R-CO) released the below statement reminding Colorado farmers and ranchers about the United States Department of Agriculture (USDA) disaster assistance programs. "As someone who lives on the Eastern Plains, I will never forget our farmers and ranchers and we must continue to support them in good times and in bad." said Gardner. "While Coloradans in Northeast Colorado continue to recover from the devastating fires, I wanted to remind those who have been affected to contact my office for assistance. We will support our farmers and ranchers as they navigate the federal bureaucracy and help them through this difficult time." According to the USDA, "the Farm Service Agency (FSA) can assist farmers and ranchers who lost livestock, grazing land, fences or eligible trees, bushes and vines as a result of a natural disaster. FSA administers a suite of safety-net programs to help producers recover from eligible losses, including the Livestock Indemnity Program, the Emergency Assistance for Livestock, Honeybees, and Farm-Raised Fish Program, and the Tree Assistance Program. Detailed information on all of these disaster assistance programs can be found online at: www.fsa.usda.gov/disaster. "In addition, the FSA Emergency Conservation Program provides funding and technical assistance for farmers and ranchers to rehabilitate farmland damaged by natural disasters. Producers located in counties that receive a primary or contiguous disaster designation are eligible for low-interest emergency loans to help them recover from production and physical losses. Compensation is also available to producers who purchased coverage through the Noninsured Crop Disaster Assistance Program, which protects non-insurable crops (including native grass for grazing) against natural disasters that result in lower yields, crop losses or prevented planting." For those who need help navigating the federal bureaucracy, email Farm_Assistance@gardner.senate.gov. Coloradans can also contact their local USDA Service Center by going to http://offices.usda.gov.